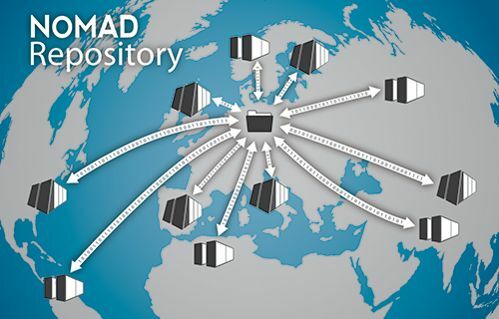 The NOMAD Repository was established to host, organize, and share materials data. NOMAD copes with the increasing demand and requirement of storing scientific data and making them available for longer periods. This rule of good scientific practice is set by many funding agencies worldwide. NOMAD keeps scientific data for at least 10 years for free. NOMAD also facilitates research groups to share and exchange their results, inside a single group or between two or more, and to recall what was actually done some years ago. The NOMAD Repository enables the confirmatory analysis of materials data, their reuse, and repurposing. NOMAD makes scientific data citable as one can request digital objective identifiers (DOI's). Have a look at youtube to see our movies on the concept and a basic tutorial. Upload of data is possible without any barrier. Results are accepted in their raw format as produced by the underlying code. The only condition is that the list of authors is provided, and code and code version can be retrieved from the uploaded files. These data can be restricted to the owner or made available to other people (selected by the owner). They can be downloaded at any time. NOMAD supports the leading electronic-structure codes in materials science and increasingly also codes from quantum chemistry. The following codes carry the stamp at their code web pages: ABINIT, BigDFT, CP2K, CPMD, DMol3, exciting, FHI-aims, GPAW, octopus, ORCA, Qbox, TURBOMOLE, VASP, WIEN2k. If your code is not yet supported, please let us know and we will work on it. At present, the NOMAD Repository contains ab initio electronic-structure data from density-functional theory and methods beyond. At a later stage, it will be extended by experimental data.